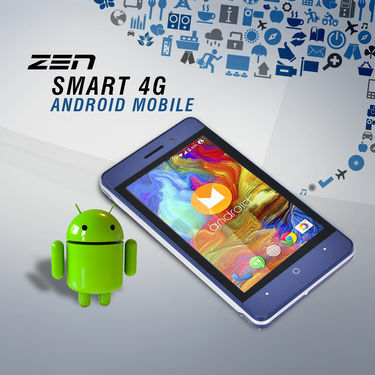 Powered by a 1.3 GHz, Quad Core Processor with 1GB RAM, the ZEN Smart 4G Android Mobile (M72) is highly energy efficient and loaded with features to ease you through your daily tasks. The 10.16 cm Touch Screen offers rich viewing experience and elevate your movie watching, mobile photography, and gaming to a new level. Moreover, the latest Google Android 7 Nougat makes user experience smooth and easy. The rear 2.0 camera with flash helps you capture fun moments with your family and friends wherein VGA front selfie camera is ideal to decent selfies. It comes with 8 GB internal memory that can further expandable up to 32GB using the micro SD card slot, making it easy for you to carry your entire music library or a vast amount of media wherever you go. Finding a smartphone without compromising on features, performance, build quality and price can be a tedious task. 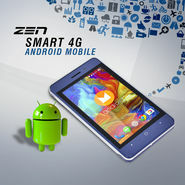 So to make it easier for our buyers, we reviewed ZEN Smart 4G Android Mobile (M72). This will definitely help you in picking the right phone. Processor: Powered by a 1.3 GHz, Quad Core Processor coupled with 1GB RAM ensures multitasking without any lagging issues. Operating System: With Google Android OS - 7.0 Nougat, the user experiences smooth, responsive and snappy performance. It also keep users safer and more secure when downloading apps or any background system updates. 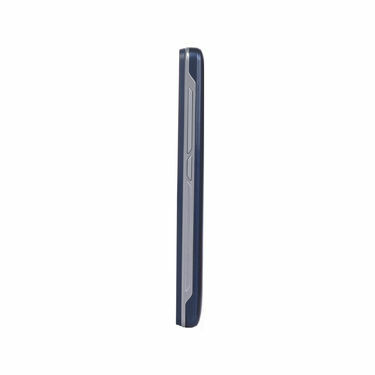 Storage Capacity: The phone houses 8GB of inbuilt memory which is expandable via microSD card up to 32GB. Enough space to treasure your photos, videos, movies and all multimedia files. Display: The phone comes with 10.16 cm TouchÂ Screen providing a clearer and beautiful viewing experience. Camera: It comes with 2 MP rear camera with flash for good daylight images. The front camera is packed with VGA Camera which is quite ok at this price point. Connectivity: This sleek device comes with Wi-Fi, Micro USB port and Bluetooth which helps a seamless exchange of data between your computer and phone. It also has 3.5 mm audio jack that offers amazing sound quality and comfort. Reviewer: We are really impress with the ZEN Smart 4G Android Mobile (M72) as it comes with basic features, specifications, performance and build quality at this price point. Highly recommended to pick this phone under 5K segment. 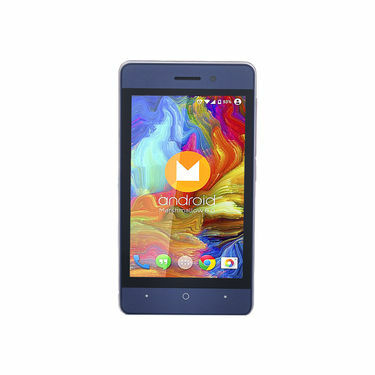 ZEN Smart 4G Android Mobile (M72)VSLifeDAPS Big Screen Android Smart.. ZEN Smart 4G Android Mobile (M72) VS LifeDAPS Big Screen Android Smart..
ZEN Smart 4G Android Mobile (M72)VSI Kall Big Screen 4G Android Mobi.. ZEN Smart 4G Android Mobile (M72) VS I Kall Big Screen 4G Android Mobi..